Minimalism is one of the most influential styles today – from design, to architecture, to music, to literature. In fact, there’s every chance that you’re a fan of minimalism even without knowing it. Minimalism? That’s kinda like not designing something, right? overwhelmed the objects they intended to ‘decorate’. As the name implies, minimalism is certainly not a lavish style, but it is not an absence of design either. As a 60’s grandchild of the Bauhaus movement, minimalism continued the trend of artists rejecting the lavish, highly-decorative styles of the past. 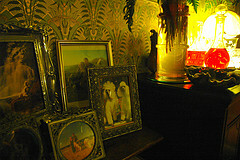 Decoration had become so intense and dense that it had begun to undermine the function of the objects it touched. Minimalists asked the question: How much can you strip away from an item — paintings, scupltures, buildings, furniture — without losing its essential purpose and identity? 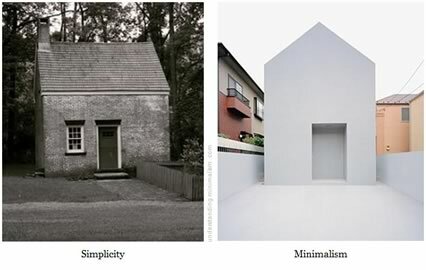 So, Minimalism is just keeping things simple, then? 1. Minimalism: A school of abstract painting and sculpture that emphasizes extreme simplification of form, as by the use of basic shapes and monochromatic palettes of primary colors, objectivity, and anonymity of style. Also called ABC art, minimal art, reductivism, rejective art. 2. Minimalism: Use of the fewest and barest essentials or elements, as in the arts, literature, or design. 3. Minimalism: Music A school or mode of contemporary music marked by extreme simplification of rhythms, patterns, and harmonies, prolonged chordal or melodic repetitions, and often a trancelike effect. But let’s forget about wordy paragraphs of definition. 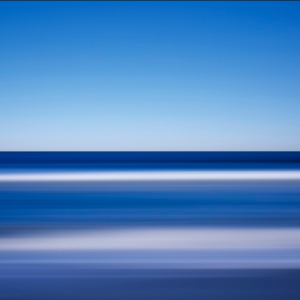 Perhaps the most fitting definition of minimalism I’ve seen is not words, but two simple images, courtesy of Maarten P. Kappert. Minimalism influenced all arts and technology in the late 20th century, as you will see from the gallery examples. In addition to its deep influence over modern arts and artists, minimalism has became popular as a philosophy and way of life, too. Minimalists resolve to live with only the essentials, shunning anything they deem nonessential . Where did Minimalism come from? Contrary to what you might think, minimalism was never inspired by poverty and austerity. In fact, it’s frequently considered a style of the super-rich. The attitude is: I can have anything, but I won’t clutter my home; instead, I will acquire only the most elegant, simple objects available. It is simple in form and function, devoid of pointless decorations, yet expensive. You would never say minimalism is a cheap option. Formally, minimalism is 1960s and 1970s invention. 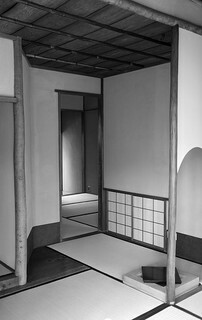 However, De Stijl and traditional Japanese design could be considered predecessors of minimalism. 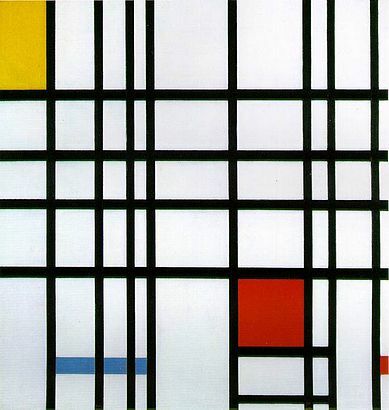 De Stijl (Dutch for “The Style“), also known as neoplasticism, was an artistic movement in the Netherlands. It began in 1917 and faded around 1931. Its leading figure was Theo van Doesburg who died in 1931, and this basically marked the end for the De Stijl movement. This movement existed only for a short time but layed the foundations of minimalism. 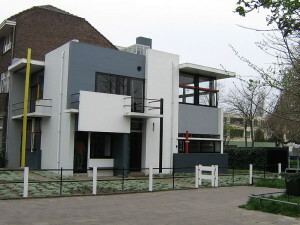 The major principles advocated by De Stijl movement are simplified visual compositions to the vertical and horizontal directions, and use of only primary colors (together with black and white). 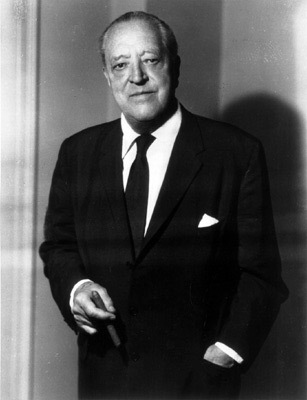 Ludwig Mies van der Rohe and "Less Is More"
Another hero of minimalism is the German architect Ludwig Mies van der Rohe (1886-1969). It is no exaggeration to say that in addition to being a key figure in minimalism, he is also one of the fathers of modern architecture with its clean forms. Indeed, city skylines from New York to Beijing own much to Mies van der Rohe work. His principles are still in use today – not only in architecture but in design as well. His contribution to minimalism doesn’t end here. He is also the author of the “Less Is More” motto, which is one of the main principles of minimalism. Traditional Japanese design (i.e. 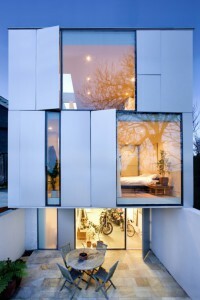 before the influence of the West) with its simplicity and clean forms is considered another predecessor of minimalism. This is a reflection of Japanese culture itself where simplicity has long been prized, and all that’s not essential to the functionality of a thing is not included in its design. The list of heroes of minimalism across arts (architecture, painting, music, design) is long. Some of the more prominent minimalists include Buckminster Fuller, Dieter Rams, Donald Judd, John McCracken, Agnes Martin, Dan Flavin, Robert Morris, Anne Truitt, Frank Stella. A variety of minimalism that deserves special attention is neo minimalism, also called "neo-geometric" or "neo-geo". It’s a style of today. Neo minimalism is again about simplicity of form and color but compared to traditional minimalists, i.e. De Stijl, it uses many more colors and shapes. This said, neo minimalism isn’t lavish on colors or fancy shapes but it definitely goes much beyond squares, rectangles, horizontal and vertical lines and primary colors. Neo minimalists use various shades of color but the total number of shades is strictly limited. Minimalism is all about extreme simplification of form. As a result, you can’t expect complex shapes and all the subtle shades of a color you never knew existed. The use of color palettes and shapes varies through time. De Stijl artists limited themselves to squares, rectangles, horizontal and vertical lines and primary colors. The minimalists of today use more complex shapes and richer color palettes. Nevertheless, it’s still typical for (neo)minimalists to use clean, simple shapes and color palettes that are either limited to multiple shades of one color, or that use a few different but high-contrast colors. Simple forms apply to fonts as well. Minimalist fonts are crisp, straightforward, and basically they lack any decorations. Serifs are not forbidden by default but they are rarely used. Here are some minimalist fonts. Helvetica is a font that is related to both modernism and minimalism. It was created back in 1957. By today’s standards, it’s not a notably stripped back construction, but for its time, it was revolutionary, as most of the dominant fonts were much more heavily ornamented. In many ways, it is Helvetica’s ubiquity — it’s everywhere — that makes it almost invisible in a minimalist design. There is more than one way to be minimal as a font. Mr Phone takes the approach of using a very limited vocabulary of shapes in the construction of each letter. It isn’t a font that dates back to the early days of minimalism but it’s certainly minimal in spirit. Mr. Phone was created in 1997 by Glyphobet Font Foundry. It might not be a household name but it is a cute font you can use today. Back in 2008, Oklahoma designer Brad Ulrich decided to take a different approach to minimalist type. 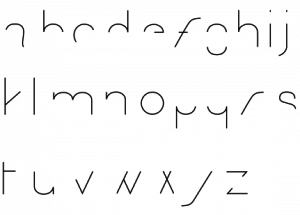 Starting with a lowercase, wire-thin Bauhaus typeface, he pruned away some, if not most of each letter, leaving not much more than a impression of the original form. Only the ‘o’ and ‘t’ remain untouched. To me, the ‘g’ reads as an ‘s’, but otherwise the majority of the letters soldier on remarkably well without arms, stems and shoulders. This was an experiment and never produced as finished font, but Brad has made the Illustrator file available if you’re interested. 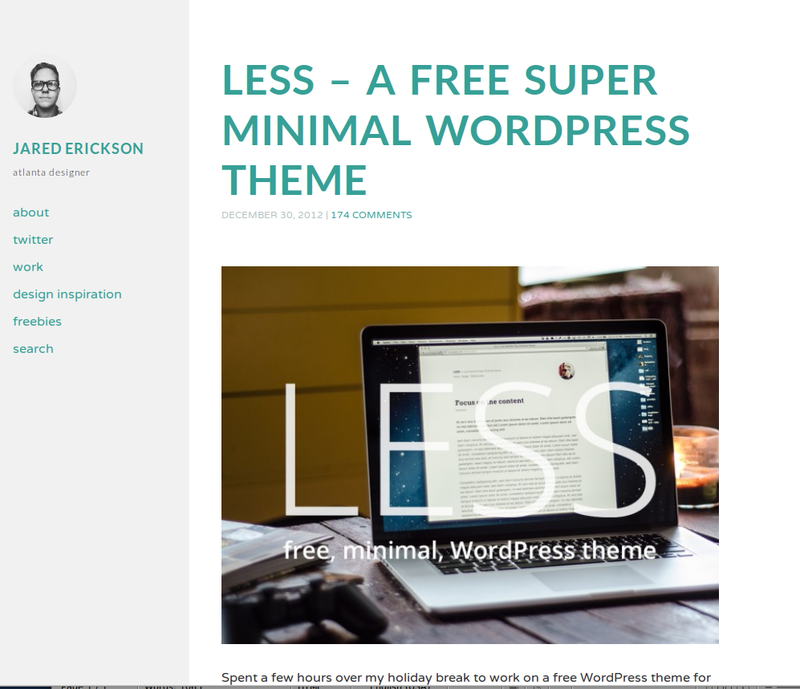 Less is a one-page theme that lacks any unnecessary decorations. This allows to concentrate on the text and the messages you want to convey than on complex structures and tons of images (that accidentally load for ever). If you want to take advantage of minimalism in your designs and you are a Photoshop user, there are a number of good resources available. 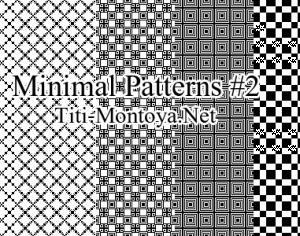 In particular, Brushlovers have made a set of minimal black and white patterns that bring back memories of the simplest early-80’s Apple II graphics. Google is arguably the best example of functional minimalism applied today. The startup interface of nearly all its services is clean and minimalist. 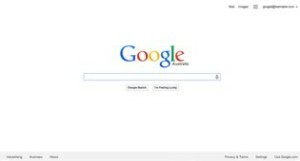 For instance, the starting page of the search engine is plain simple: a search box, 2 search buttons, and the Google logo. What’s more, the logo itself is in (next to) basic colors, which is another typical feature of minimalism. Craigslist is certainly not the first site you think of when you talk about ‘high design’. But in many ways, the most popular site for classified ads is a minimalist’s delight. It has a very straightforward structure and a color palette even De Stijl designers will love. The site is all about functionality – no fluff, no decorations, no distractions. 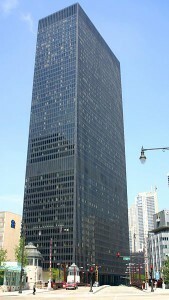 Modern architecture can give numerous examples of minimalism. For instance, IBM Plaza in Chicago and House Grangegorman are two good examples of minimalism in architecture – the first one from the 20th century and the second one – from the first decade of the 21st century. Minimalism has many faces and it is difficult to present them all. I do hope that this article gave you an idea of minimalism and that it made you notice the beauty of simplicity.